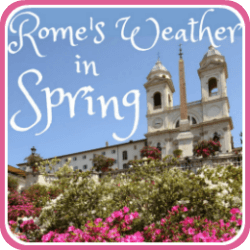 The weather in Rome: planning when to visit. 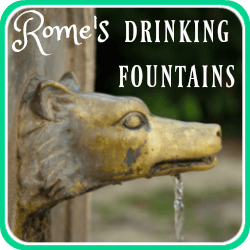 The weather in Rome, Italy: planning when to visit. Planning to visit somewhere you've never been before can be fun, but it isn't always easy to know the best time to travel. 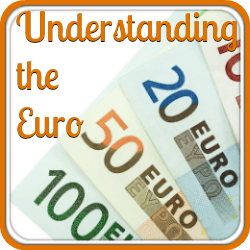 One of the most common questions we're asked is, "what will the weather be like?". Of course that's not always an easy question to answer, particularly in these days of climate change. 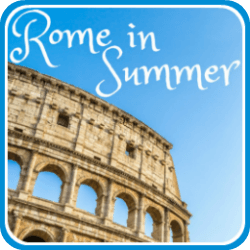 In recent years the weather in Rome has been what is considered very 'unseasonal' - incredibly hot summers with temperatures above 40 degrees Centigrade (over 100 degrees Fahrenheit) and - gasp - snow in winter - unheard of! 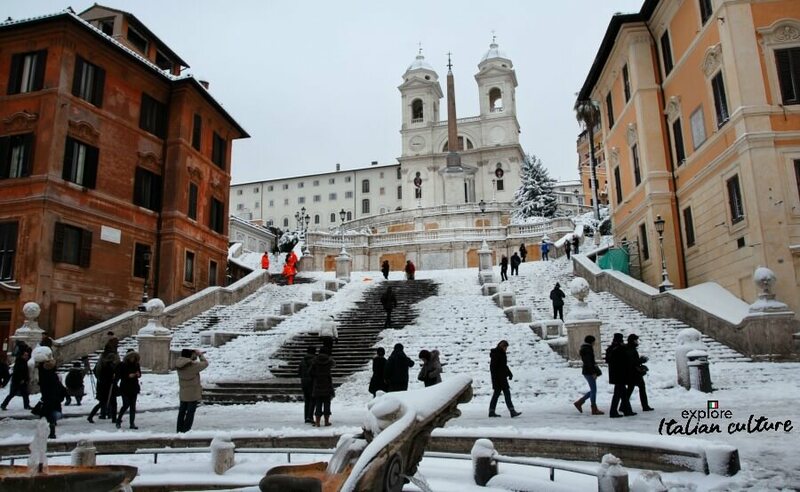 Snow on the Spanish Steps - a rare occurrence. Romans tend to be phased by even half an inch falling! 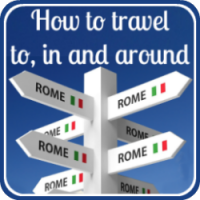 When's the best time to be in Rome? 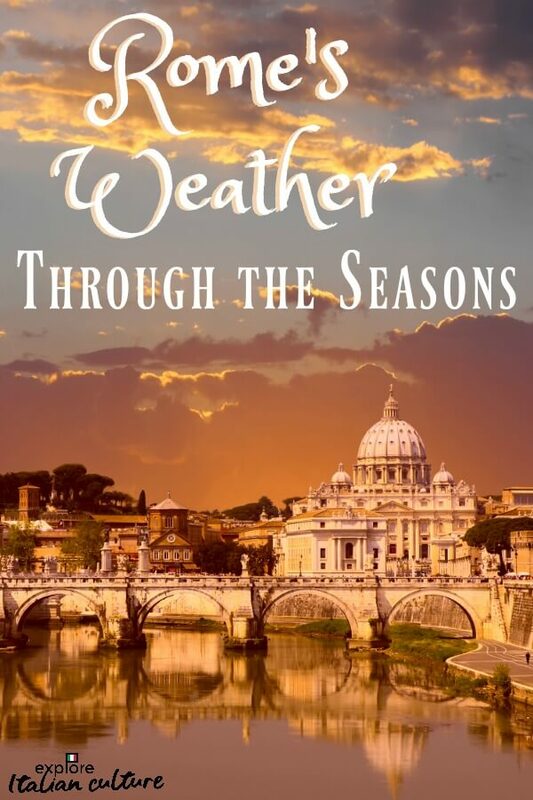 Looking for specific information about one of the four seasons in Rome? Click here - or Pin this pic for later! We would say there's never a bad time to be in Rome. We've been there in every season, through all kinds of weather. The important question for you, though, is what would suit your family? 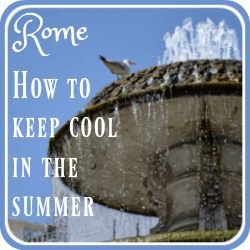 If you're from sunny climes yourself, the sweltering temperatures of summer in Rome might be just right for you. But if you're not used to extremes, it can be hard. 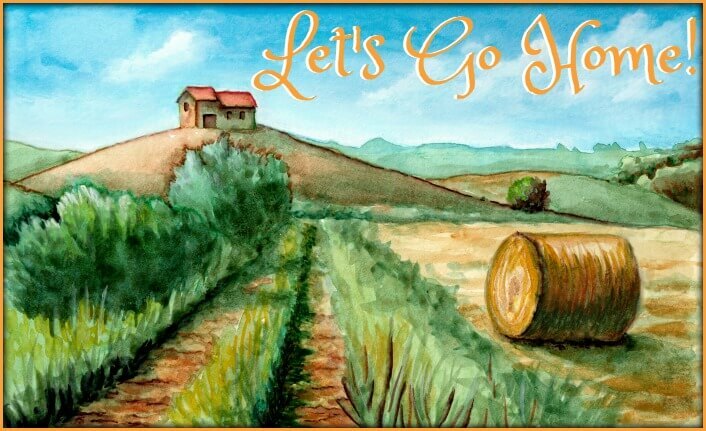 And would you be OK with seeing Rome under grey skies and rain, or would you prefer to choose a season that's relatively dry? Take a look at this chart, which will give you an 'at-a-glance' impression of how hot or cold the temperatures are likely to be at different times of year. Always bearing in mind, of course, that when it comes to weather, nothing can be guaranteed. Weather in Rome: average temperatures. Generally speaking, winters are quite mild. 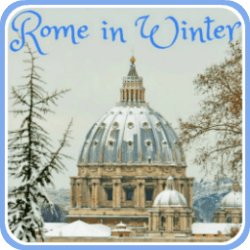 Of course, there can be exceptions - to everyone's amazement, in the last decade it has snowed in Rome for the first time in over twenty years. It's never very deep - half an inch is enough to send Roman citizens into a flat spin - but it's been enough to damage some ancient buildings. 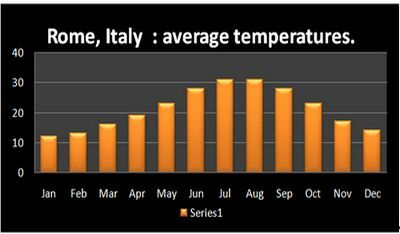 Spring and autumn (Fall) are warmer earlier and last longer than in other parts of Italy. It's not unusual to have warm weather from April until the end of October - perhaps not hot enough for the beach, but certainly good for sitting out to eat. Summers, as we've seen, can be so hot that many people who live and work in Rome leave on 1st August and don't return until 1st September. 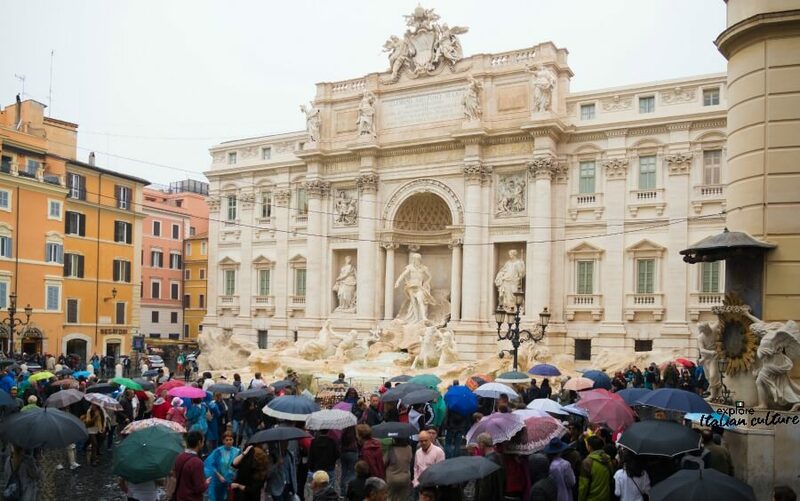 Not even rain puts tourists off visiting the Trevi Fountain in Rome! Somehow, visitors always seem to be taken by surprise when it rains in the Eternal City. In fact, although it's generally very warm, it can also be quite wet at certain times of year. During the winter, rains tend to be heavy and longer-lasting whereas the summer brings more stormy squalls. They can be very heavy, but generally only last a short time before the sun comes out again. It's always a good idea to take a small umbrella with you - just in case. Costs may be lower in the autumn and winter - but do you mind the rain? 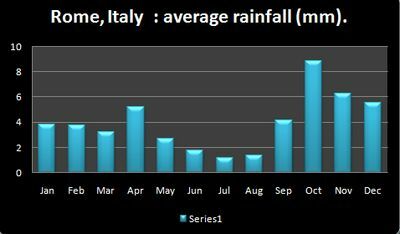 As is the case all over the world, weather forecasts in Italy are notoriously unpredictable. Sometimes they're spot on, other times they're - well - not. The most effective forecaster we've found is this one - Meteo.it. So if you're going to Rome in the next week or so, check out what the weather will be like. 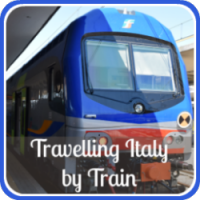 The video is, obviously, in Italian, but you can get the meaning of the message by the icons on the map. And if you're learning Italian, it's good practice to watch it anyway! If you want to look even further ahead, clicking on "Prossimi giorni" right under the forecast above will give you the weather for the next 14 days - it will open in a new tab. Just be aware that this forecast is likely to be even less accurate than the 7 day one. But it will give you an idea about temperatures, at least, and about whether or not you need to pack suncream, an umbrella or a warm jacket! 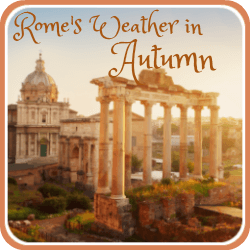 If you're still planning : having had a look at a broad overview of what the weather in Rome does at different times of year, use the links below to gather some more specific information about each season. That will help you to narrow down your possible travel dates. If you've already booked : these pages will give you information about the type of weather you can expect which will help you decide on clothes and plan ahead about things available to do during your visit.